Home is Where the Potting Shed is on it. the Painted Apron with oh-so-fun personalized details! She added cedar shake siding and red front door. I love including pumpkins. . .
And included my windows and window box. . .
She added a watering can. . . 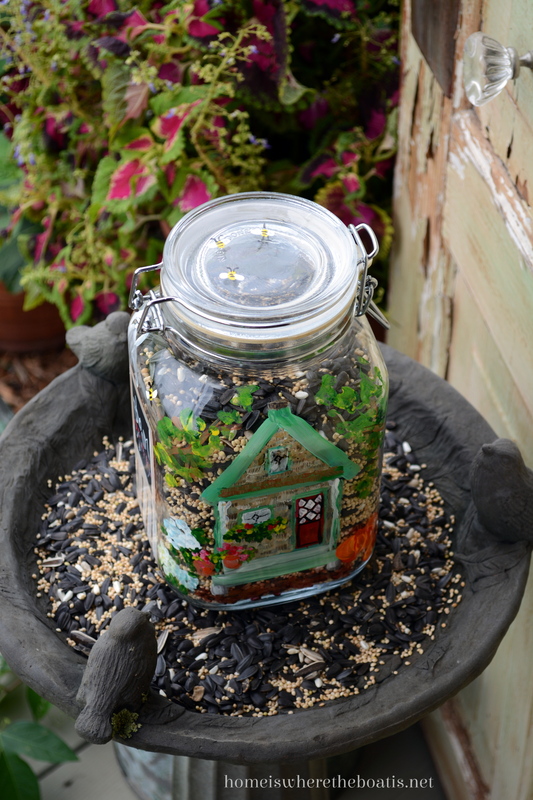 I filled my handpainted jar with bird seed! 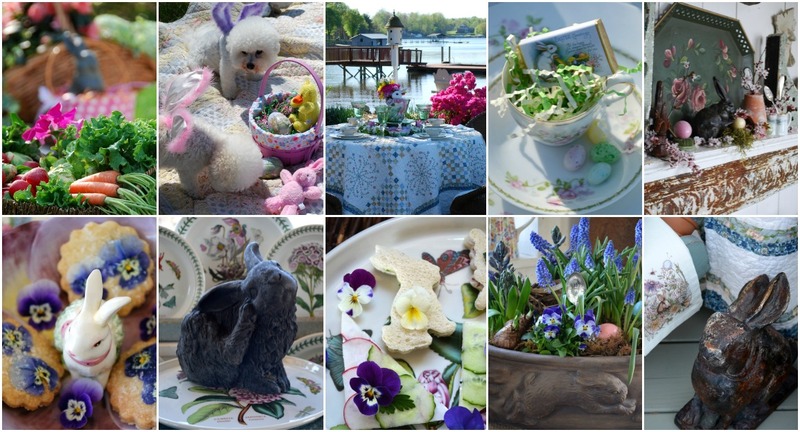 where she is always busy painting or creating, cooking up a recipe or table! 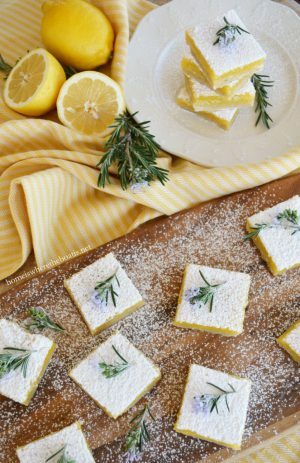 in celebration of her Blogaversary! 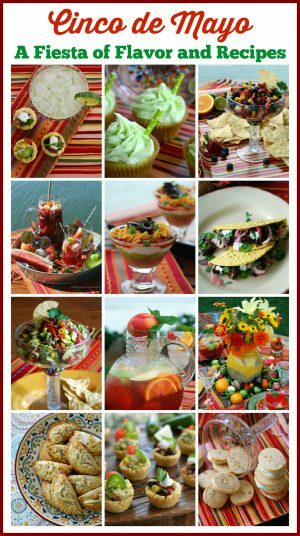 Halloween, Thanksgiving or Christmas designs through August 28th, HERE. 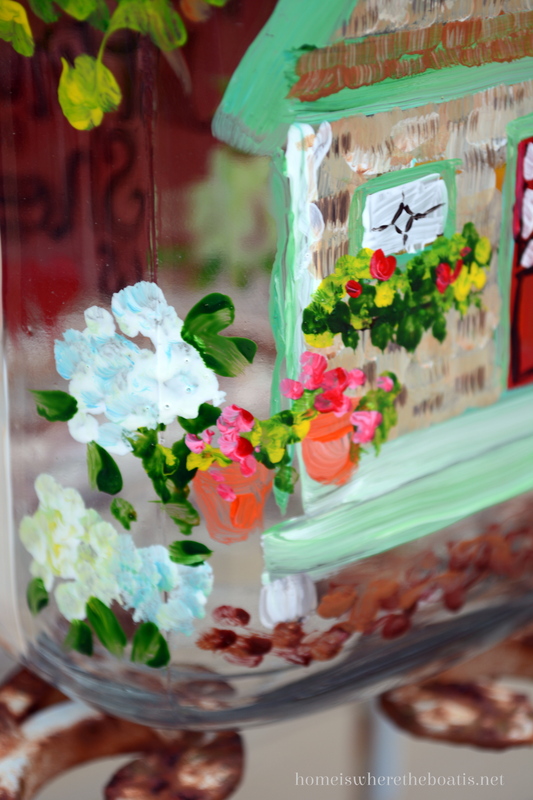 Thank you Jenna for my handpainted jar and sharing your talent!! 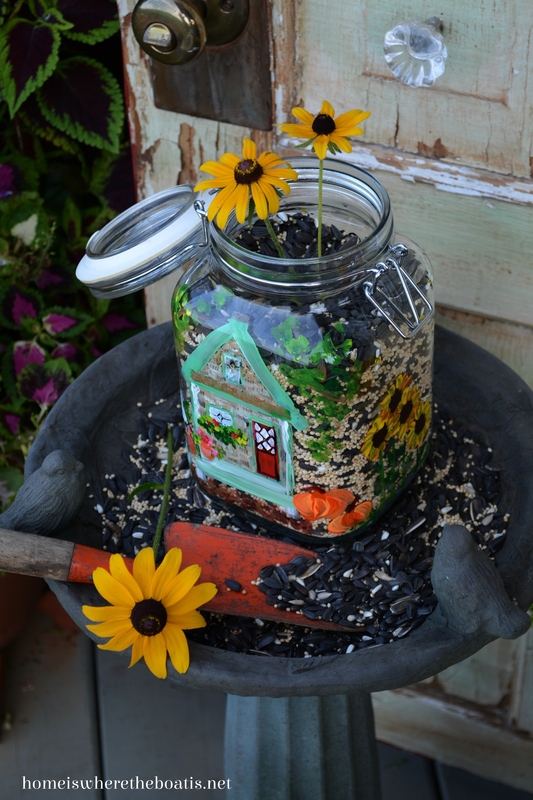 I do love your potting shed!………..in all seasons. 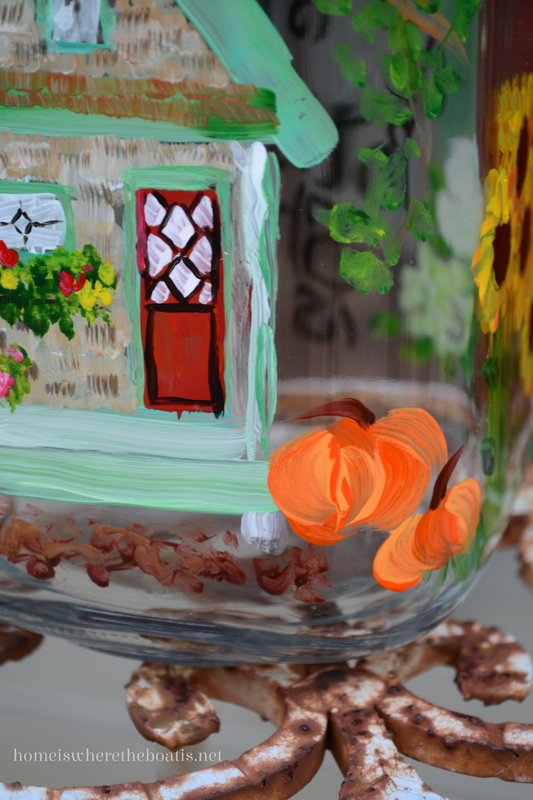 What a pretty and personal gift the painted jar is! Love this! 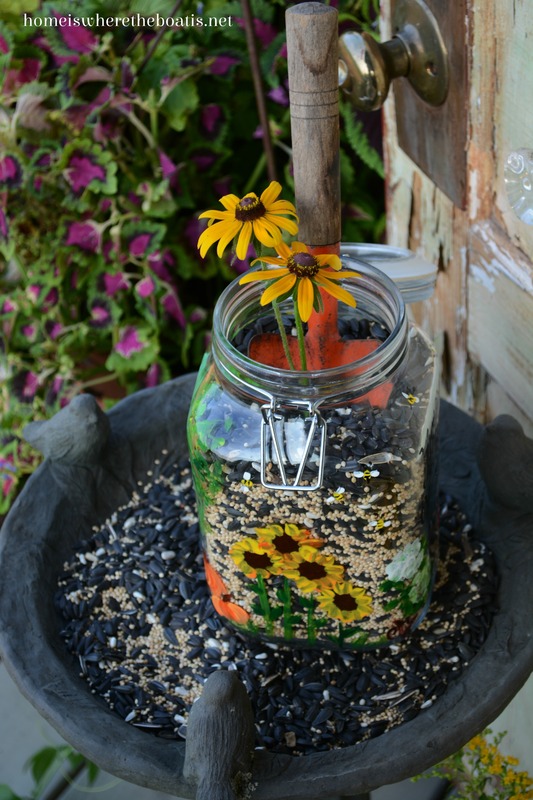 The painted jar is adorable. I so love your potting shed! Oh my word! 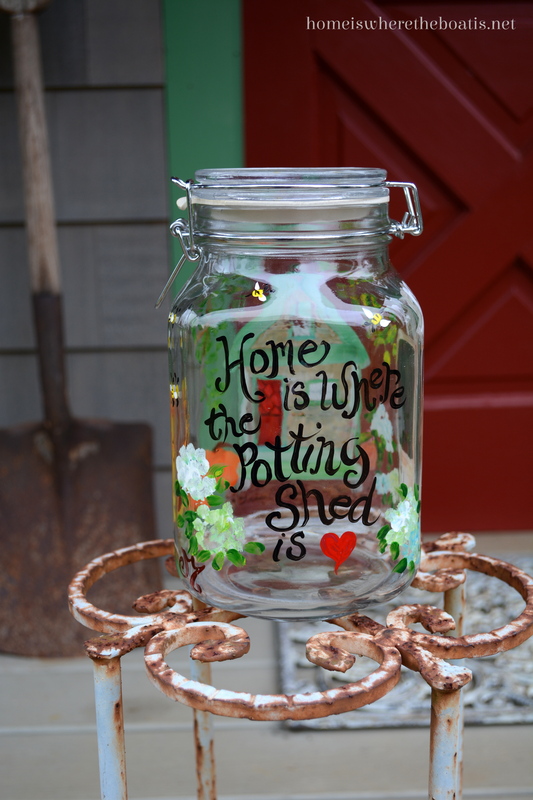 That jar is just the cutest thing and perfect for you! What a unique treasure! It’s been a week or so since I’ve visited, and I just wanted to say that I like your new, wider theme! You are so ridiculously talented! 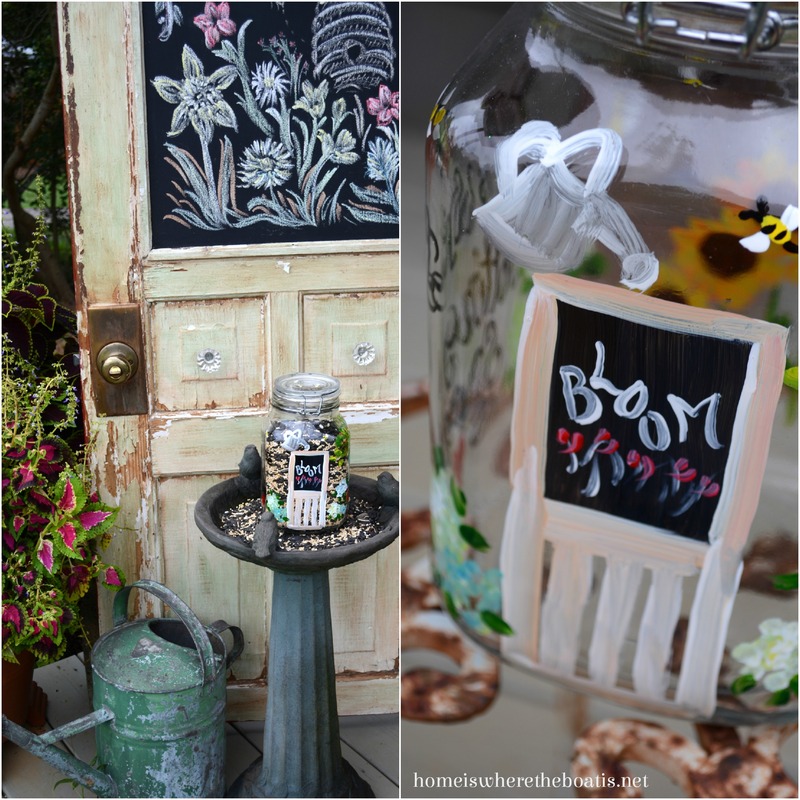 I love your potting shed and the painted jar is beautiful! That is adorable! What a fun surprise to receive! 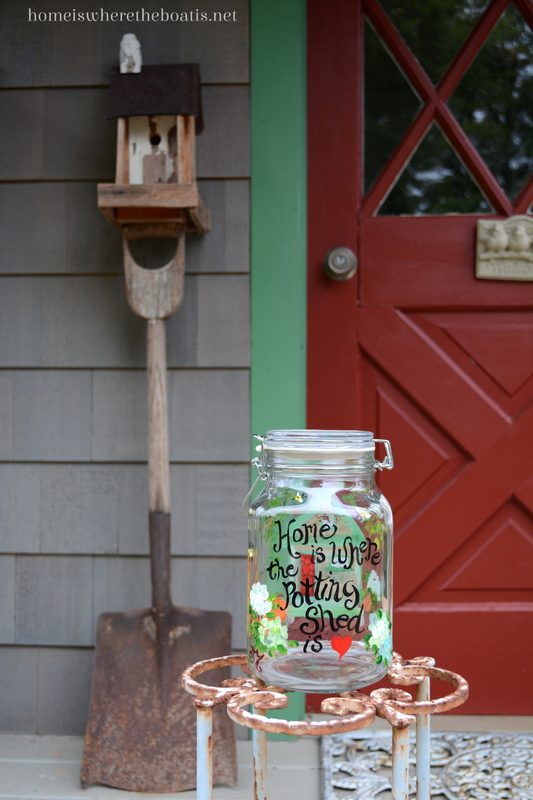 Adorable jar featuring your potting shed by Jenna. She has a myriad of talents and generous to share with you. Your post was a reflection of both your talents. 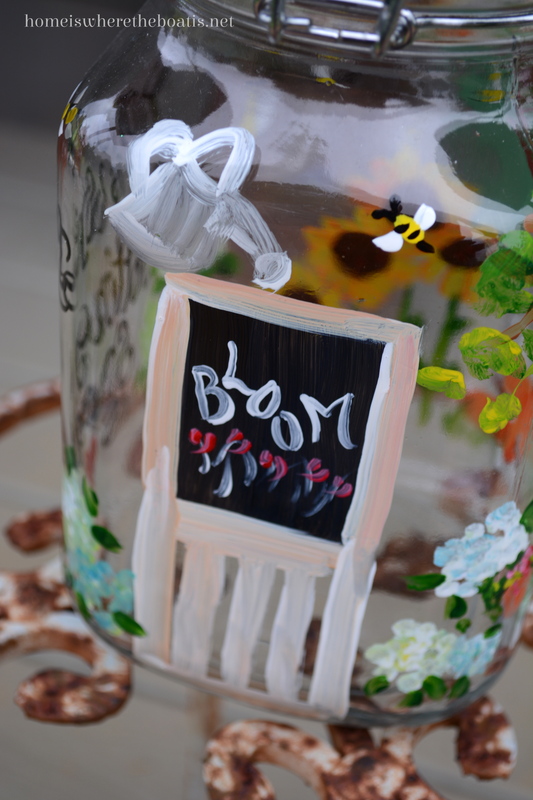 Ooh Mary, that hand painted jar from Jenna is perfect for you and your potting shed! So darn cute! I’m sharing!!!! How sweet of Jenna to send the jar!!! I may have to commission her to do one for me. What a great talent she has. 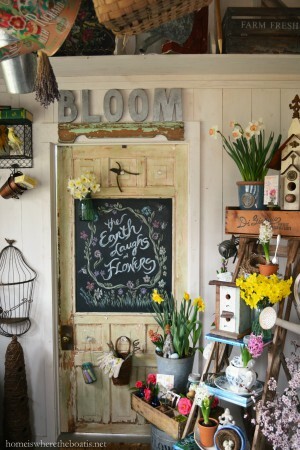 The best part of this post is seeing your amazing, gorgeous potting shed. I just swoon over it whenever you share it. 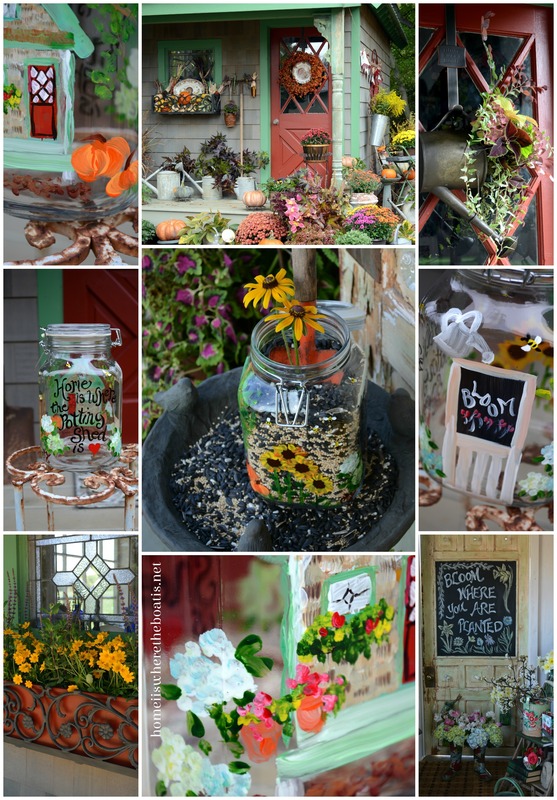 Decorated for Fall is simply gorgeous. Just went back to look again and have a question. I noticed in the Fall picture that some pumpkins are raised on what looks like metal coasters with legs. Where did you get them?? A tiny detail but I love them. DARLING! And I love your potting shed too! I can’t wait until I have one built on our new property. This move/remodel has just about kicked my booty so I am ready to wait on new projects. But, this is definitely on the list. Hope you are loving your summer! Just wanted to let you know that we are going to feature your watermelon mojito on our blog this Saturday. 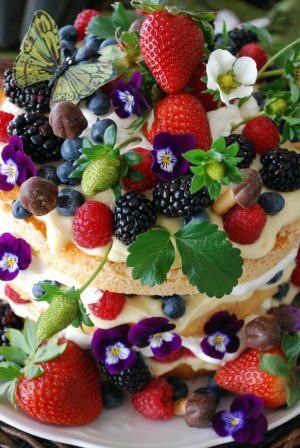 We think our readers will love it. You can share the news with your readers, if you like. Jenna, what a thoughtful gift for Mary. I heard her screaming with joy when she opened it all the way to Maryland! That is definately unique and a conversation piece and you can bet your sweet boots, she will tell everybody about her blogging friend Jenna and show it off. That Mary is a special and talented lady herself. Now I’m moving on to look at Jenna’s blog or website!